The researchers didn't ask why parents didn't get their kids vaccinated, but CBS News medical contributor Dr. David Agus sees a couple of likely explanations. "There are two buckets these children fall into. The first is parents who say 'I don't want my kids vaccinated for personal beliefs, for religious, philosophical reasons.' And the other, a growing one, is access to care. Even though our government provides vaccines free for every child in the country, people may live too far away, it may be too hard, they may not be educated well enough. But that's a fixable problem," Agus said on "CBS This Morning" Friday. A significant minority of the families surveyed did not have health insurance coverage. Health officials said that was a surprise because a government program pays for vaccines for uninsured children. Agus pointed out that failing to vaccinate a child can pose a threat to other kids' safety, too. "If you don't have your child vaccinated and they get a virus, they could spread it to a child who's immune-suppressed — undergoing cancer therapy or arthritis [treatment] — and it could kill them. So part of the reason we as a society have to vaccinate is to help protect others," he said. In recent years, measles outbreaks have flared up in several U.S. cities, mostly affecting people who had not been vaccinated. A highly publicized outbreak linked to Disneyland in 2015 sickened dozens of people and prompted the California state epidemiologist, Dr. Gilberto Chavez to warn, "If you are not vaccinated, stay away from Disneyland." 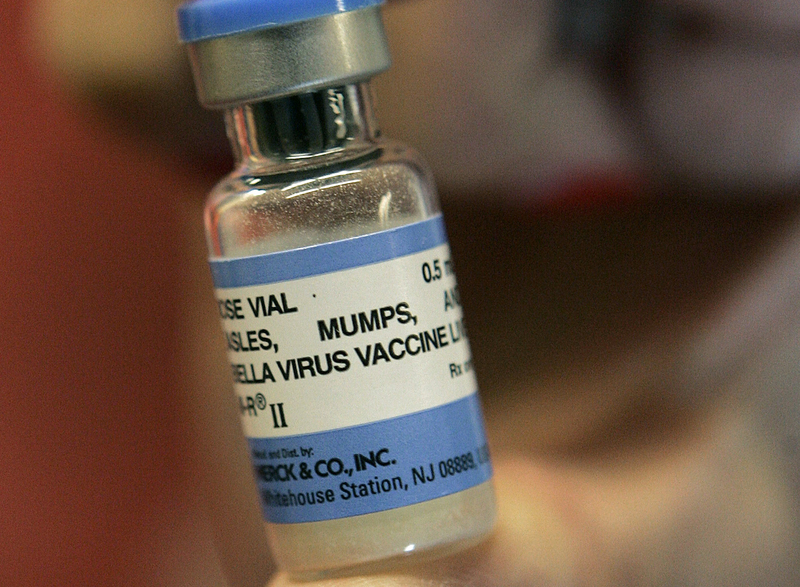 Measles was virtually eliminated in the U.S. after the vaccine became widely available in the 1960s. The illness is highly contagious and can spread rapidly among people who didn't get the MMR vaccine, which protects against measles, mumps and rubella. Babies too young for the vaccine are especially at risk.